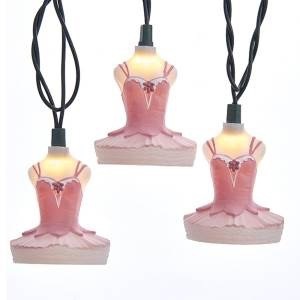 KURT S. ADLER UL4316 BALLERINA TUTU DRESS STRING OF LIGHTS - Attitudes Dancewear Etc. A ballet tutu light set is a fun, festive way to add to the lighting of your holiday or theme party décor! 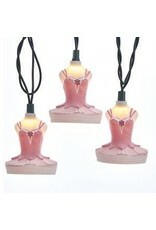 Each light in this novelty light set features a perfectly pink plastic ballet dress. Perfect for girl's birthday parties and dance recitals.